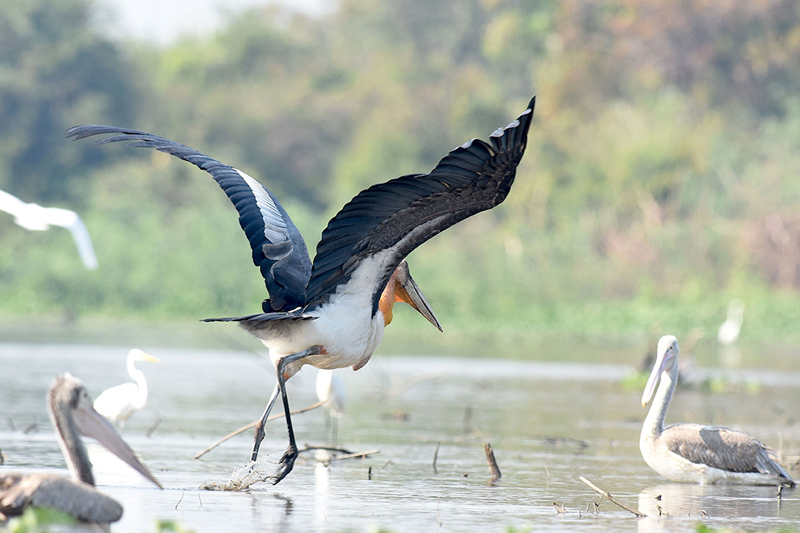 If you want to see some of the great birds that occur around Siem Reap but are pressed for time, why not head out with one of the SVC guides for a half-day trip to some of our local patches? We regularly see over 50 species at sites that are just a short (15-20 minute) tuk-tuk or motorbike ride from the center of Siem Reap. There are sites like the West Baray, where there are often many herons, waders and kingfishers, along with some forest species like Hainan Blue Flycatcher and Pale-legged Leaf Warbler, as well as Red-breasted Parakeets and sunbirds. One September SVC found a flock of 27 River Lapwings, a highly sought-after species that is very hard to see away from the Mekong River, but may be regulars here when water levels are at their highest in Cambodia (August-October). 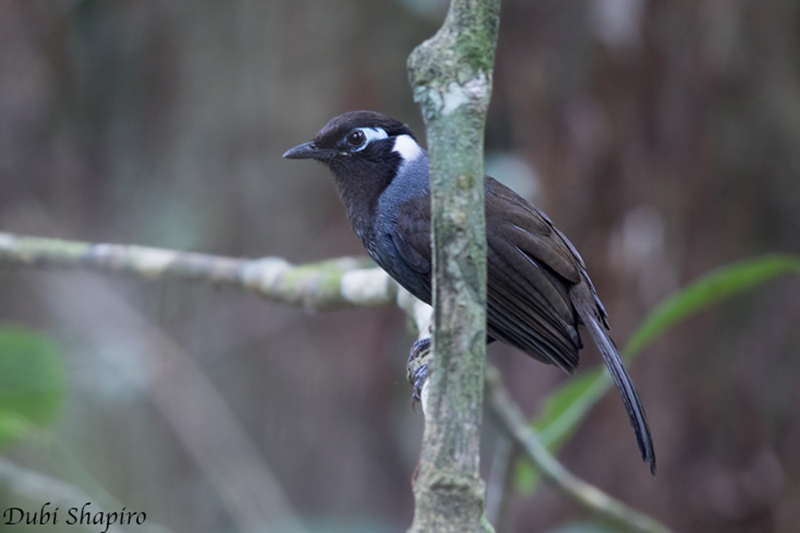 Or we can try for some migrants in the wooded grounds of one of the Wats, such as Wat Atwea just a few kilometres south of the town, where we have recently seen Forest Wagtail and Asian Paradise Flycatcher. A short distance farther and there are the paddyfields and ponds that stretch to the edge of the great Tonle Sap Lake, where many species of wader including Pintail Snipe, Long-toed Stint, Oriental Pratincole, Marsh Sandpiper and sometimes Grey-headed Lapwing. Resident Red-wattled Lapwing are always great birds to watch, and we’ve been lucky with good views of Greater Painted Snipe at one of our sites close to the lake. Many bitterns, herons, egrets, storks and even occasionally Spot-billed Pelican can be seen near the lake as well, and there is even a chance of an Adjutant fly-over! Usually the trips start at 05:30 a.m., to make the most of the best time of the day for birdwatching, and we will come back around 10:00 as the day becomes hotter. Alternatively, an afternoon and evening trip can be just as productive, especially for waders. Departure in the afternoon is at 14:30, returning when it becomes too dark to bird! You are most welcome to drop by the Sam Veasna Center (map here) along Street 26, past the Apsara Theatre just off Wat Bo Road. Our garden has resident Brown-throated and Olive-backed Sunbird, Streak-eared and Yellow-vented Bulbul and from mid-October these are joined by Taiga and Asian Brown Flycatcher and Yellow-browed Warbler. We always keep an eye out for something good like the male Asian Paradise Flycatcher that occasionally dashes through our trees. 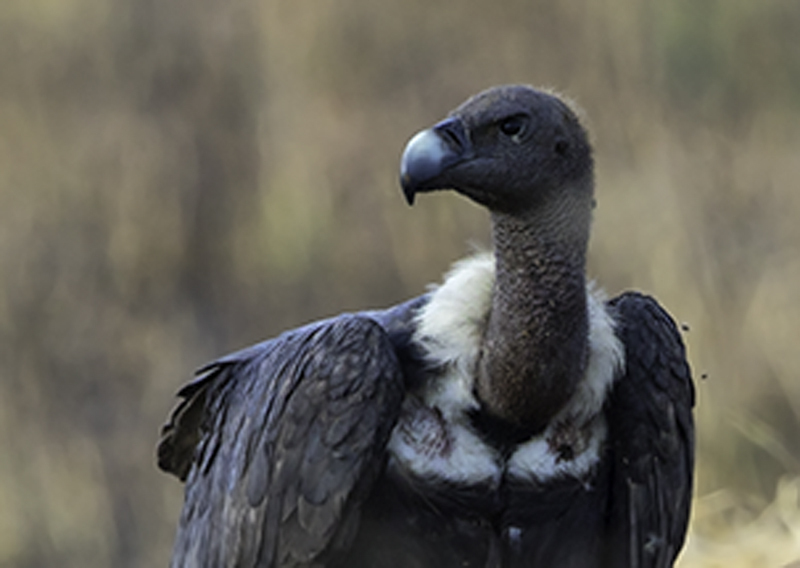 Itineraries for ½ day birding varies entirely on the time and interests of the group, as well as our knowledge of which site is best at the time. Expect 05.30 pick up for morning tours, or 14.30 for afternoon trips.